What’s the Matter With Music Education? We've all heard the media reports of its slow death in the public schools, but what's really going on and why? Today’s school band and orchestra model was developed in the early 20th century, an era when band and orchestral music dominated the culture. Very little changed until the 1960s, when the National Endowment for the Arts was created. Federally supported development of arts education led to enormous growth in music programs that lasted into the 70s. But, rather than taking advantage of renewed student interest and financial support, music educators consistently rejected current musical trends. As a result, music education gradually lost its relevancy. While educators clung to 18th century ideals and methods of teaching, music missed out on almost an entire generation of students. Today, our music programs are populated with far too few students, almost all of whom talk about “real music” versus “school music,” as if the two have nothing in common. Today, our music programs are populated with far too few students, almost all of whom talk about “real music” versus “school music,” as if the two have nothing in common. Yet throughout this decline in music education, music consumption has actually increased. There has never been a time in history when a larger amount of music has been accessed by more people. These days, young people engage with music in ways that could not have been imagined even 15 years ago, let alone 50. Yet our public school music education programs still resemble those of the distant past. The big question being debated these days is whether this outdated system is worth saving. Just about everyone on the planet agrees that music brings value into the lives it touches. The deeper the understanding of that music, the greater the value. Music education is such an amazing commodity. It has the potential to bring enormous amounts of untapped cultural wealth into society. It’s time that we faced the fact that we’re all missing out on this wealth, simply because educators are failing to present music as the accessible, relevant and infinitely appealing art form that it is. Design curricula that grapple with the current state of the music business. Encourage students to embrace the constant evolution of culture and technology. Teach students to think not only as artists, but as forward thinking entrepreneurs. Make music education easily accessible and market it to a wide audience. Communicate the often forgotten truth that music can be learned by individuals of all ages and all levels of ability. Embrace ALL genres (including the most popular ones) and emphasize the connections between those genres. Never alienate students by rejecting any style of music as illegitimate. Encourage students to participate in community music making events. Create an open culture of ‘us’ by treating music as a language that facilitates community. Make true music education available for all instruments, including voice, guitar, bass, electric guitar, piano, and keyboard (not solely band and orchestral instruments). And ‘market’ these programs to learners of all ages and all abilities. Use original, modern, and varied genres of music for playing, play along, and listening examples rather than the outdated material often presented in method books. While there are educators out there who mightily struggle to bring ideas like these to the public schools, they face an almost unmovable bureaucratic structure. Instead, real solutions are being tackled by the private sector — independently operated music schools with the freedom to throw away what doesn’t work and break new ground. It’s a welcome development — one that might actually lead to a healthy future for students and music educators. Let the change start occurring from within. Expose learners to an approach that engages them and connects them to the world in which we all currently live, and maybe, just maybe, they’ll begin to demand a similar experience from their school systems. Until that happens, school music education will continue to fade into the very past that it stubbornly embraces. 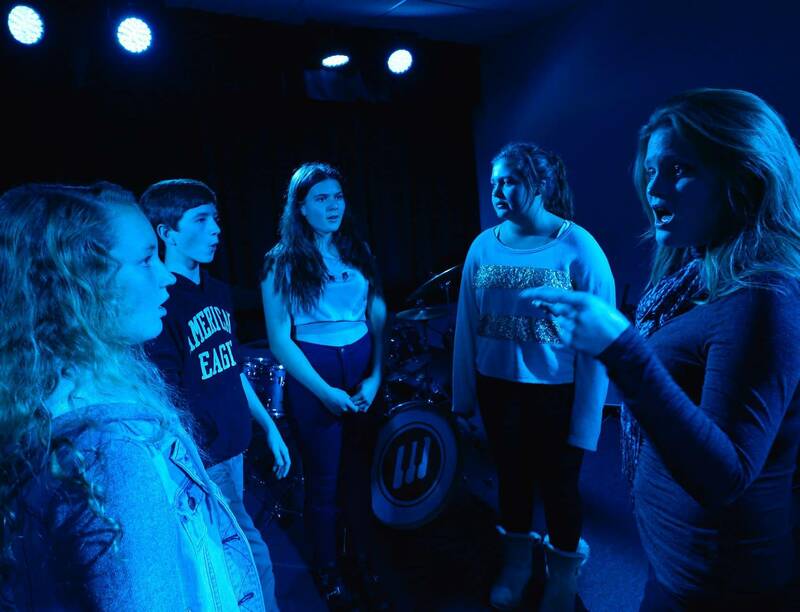 Interested in learning about Music House's modern approach to music education?